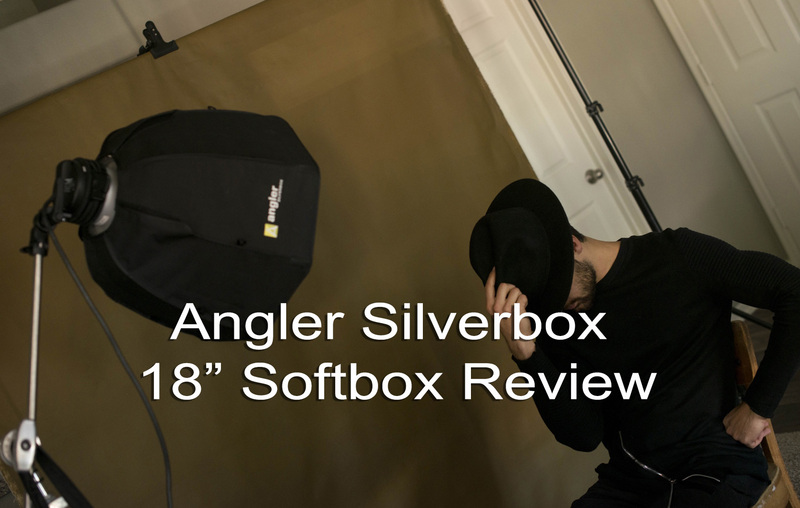 Okay, so awhile back I was asked to test and review the Angler Silverbox 18″ Softbox and at first, given I have the Profoto version of this as well as the Beauty Dish, I was wondering just how useful or good this guy could be. Given it was 1/2 the price, (or less), of the Profoto version I was used too, I was pretty sure the quality would be less than great and i’d try it once, and throw into a corner never to be seen again. Above is a shot I took using JUST the Angler Silverbox 18″ Softbox with model Shyllon Melatti of TNG in Las Vegas (Assist from Yevgeniy Zakharkin). This is one of the very first images I made using the softbox and right away my jaw dropped! So without more rambling, lets get into the details of the Softbox itself. I’ll be writing a tutorial post about some uses for this softbox soon and i’ll update this one with the link once it’s done and published! The 18″ Angler 7262-S-18 Silverbox Octagonal Softbox is a highly versatile light-shaping tool designed for use with for strobes, LEDs, and fluorescent lights. This extra-small softbox allows photographers to place it where larger softboxes can’t go for small object photography or for hair or accent lighting in fashion and portraiture. Its deep design gives the Silverbox longer, more directional throw than shallower softboxes of this size while retaining wrap-around light qualities and rendering natural-looking catchlights in the subject’s eyes. The softbox features a textured silver interior for maximum output and a removable front diffuser. Removing it converts the softbox into a deep, long throw reflector with high brightness and contrast. The octagonal Silverbox has an additional control via a fabric grid (available separately) which mounts to the recessed lip of the softbox with touch-fasteners. The grid narrows and concentrates the light’s beam forward, controlling spill light and adding directional control to the Silverbox’s attributes. Every Silverbox comes with a carrying case. Separate purchase of a speedring that matches your strobe’s mount is required for use. It’s very small and compact. Packs away in a small travel bag (included) and takes no space at all when collapsed. It’s small and takes next to no space at all when it’s setup too! When you’ve got limited space for storage…a modifer like this is pretty useful to leave open and ready to use in a moments notice. It’s very affordable compared to other brand softboxes (nearly 50% cheaper in some cases). Quality of light – From the very first strobe fire…the Silverbox was amazing! Able to add a grid, an internal second diffusion panel (to additionally soften the light). That’s it…my only dislike for this modifier was the simple disassembly side of things! Going in with Zero expectations with the Angler 18″ Silverbox, left me exiting with a sense of amazement. I’m absolutely in love with this softbox and have been using it for a majority of my portrait work since starting the tests out! (Remember to stay tuned for another article soon featuring this and some different ways to use it). So for the price it’s worth it, and overall it’s more than worth the $119.95 investment for this softbox! I Highly recommend you check this out and put it in your workflow. Thanks very much for the really helpful information! It is just what I needed.